This post has been sitting in the draft section for weeks. I initially wrote it for myself, my way of processing. Typically the things I’m most reluctant to post are the ones that God urges me to share, so here we are. It’s true; church has been a foundational part of my entire life. But church has not always been a safe place for me. I’ve seen people ostracized. I’ve been a spectator to the precarious placement of leaders onto pedestals and then of course, the fall. I’ve felt like an outsider, ignored by the clique of girls in class on more than one occasion. Some of the least Christlike actions and attitudes I’ve witnessed have been on display underneath a cross. Sometimes church is hard. As a believer who wants people to feel drawn to and welcomed in to the church, those are really difficult things to admit. For a long time, “church-goer” was the emphasis of my faith. Only later in my twenties did I grasp on a personal level that the church isn’t a “what” or a “where” but a “who.” It’s a people that I can be part of where my faith is strengthened and we can collectively brag on our God. One day after visiting nearly all the churches in a twenty-mile radius of my home (or something like that) we happened into a completely unique church. These were not perfect people, no. But authentic and genuine? Yes. Striving to make a difference and show the love of Christ as a united body? Yes. All of those failed church visits had at least taught me one thing – how to spot the real deal among an alarming number of counterfeits. Our new church home became the catalyst of my real faith journey. It’s where I learned what it truly meant to follow Christ and where I found genuine community – this body of people has loved me and my man and my baby so well. Over time, we got comfortable. Really comfortable. Because when things are good, you can easily get lost in your own little bubble. The only problem is (or is it? ), God doesn’t function in these types of bubbles. No, He’s much greater than that and isn’t confined by our ideals, even if they are built unintentionally or subconsciously. So, one day, our little bubble burst. The announcement was shocking and heartbreaking. Our much loved leader was moving on, because that’s what pastors do – they heed the call of Christ even if it breaks their heart too. As a church, we collectively grieved. We were sad, angry, bitter, disappointed, anxious about the future; we felt it all. So here I am again. Sometimes church is hard. And I’m confronted with the prickly truth that God will choose to make us holy over making us happy every time. That is not something I would ever sign myself up for. It makes me want to whine and throw a fit like my toddler. It’s unwelcome and uncomfortable. But my resistance in the rebuilding doesn’t hold God back, it holds me back. Can God not do great things during a time of brokenness? Isn’t it He who does the healing? And does He not heal exceedingly and abundantly beyond anything we can imagine? These are the ashes of what was, and these ashes are Holy Ground. They make way for the divine rebuilding. We know He makes all things new. When church is hard, fake doesn’t cut it. Your nice Sunday clothes and your I’m fine‘s spoken with a high pitch do not hold up to this kind of makeover. When church is hard, you can bolt, but then you miss the miracle. When church is hard, we can fight it or we can welcome it with the reassurance that He will use this for good. And of course He will, because He knows no other way. 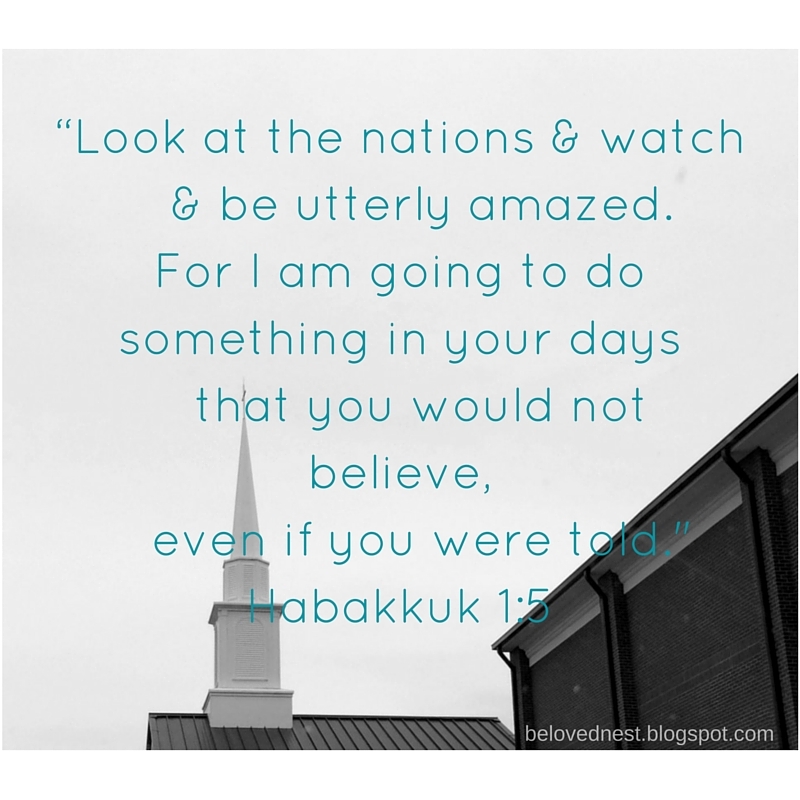 My expectations, doubt, and unrest do not limit God. Ever. My job is to do the trusting and He will take care of the bandaging and making whole. And once His work is done? I know it will be astoundingly beautiful.